Ok so I came across some interesting work by Mark Passio (http://www.whatonearthishappening.com/bio) which I found quite insightful. He basically talks about "natural law" and other related concepts. Since the video (seminar) is more like a 9 hour session I'll just give you an overview of it so that you know what it is about but I highly encourage you to look into it yourself since this is only an overview. Knowledge of natural law (that of already existing laws which "govern the consequences of human behaviour") This natural law is given names like consequentialism, karma, moral law etc. This knowledge is "hidden" in order to create and maintain the hierarchy of power. Ignorance: is to not know despite the presence of the information since either its wilfully ignored or disregarded. Coming to truth, its objective and indifferent. It's not based on perceptions. Consciousness is simply one's ability to recognise patterns and meanings with respect to reality, meaning you have an accurate understanding of that which is taking place within and around you. The higher the consciousness, the more accurate is the perception and vice versa. Perception is the filter we use to see reality. Next he talks about Solipsism. And then moves to the word "definition" explaining the etymology of it. This is one thing I personally liked about his teaching style, that he break words down and give comprehensive definitions and etymology of it at every stage. Natural Law: Law/existing condition that is binding and immutable (cannot be changed) which governs human behaviour. Laws that are inherent; have a base in reality/nature/truth; not made/caused by humankind. Also called "spiritual law" which also manifests itself in the physical domain. Also these laws don't care if you're ignorant/nescient. They are immutable and binding. Next he talks about Discovery vs belief; the word "absolute" quoting that "Humanity's greatest fear is that the truth is absolute"
Actions: The masculine aspect- interacts with the physical world. A marriage between your thoughts and emotions give rise to action. Left brain dominance leads to: Rigid scepticism, scientism, atheism, solipsism, authoritarianism etc. Right brain dominance leads to: Naiveté, blind belief, religious extremism etc. He also talks about worldview schism for being either too masculine or too feminine. Principle of mentalism: states that everything in creation is a manifestation of mind i.e. everything that exists physically has to have a mental creation in the beginning. Thoughts leads to this manifestation. Therefore be responsible for everything you create by being responsible for everything you think. Changing reality requires changing thoughts. Principle of correspondence: That which is above is similar to that which is below. The macrocosm (the very large; totality) and the microcosm (very small; individual units that comprise the whole) are mere reflections of each other. The universe is like an individual and the individual is like the universe so the knowledge of the working of the individual will lead to the understanding of the macrocosmic laws and vice versa. (Movie suggestion: https://www.youtube.com/watch?v=0fKBhvDjuy0) So the universe is holographic (whole contained in parts and vice versa) and also self similar. Principle of vibration: states that nothing called "rest" or "dead motion" exists. Death in a sense is an illusion since that would be cessation of all motion and energy. Nothing rests. Everything moves at the fundamental level, everything at its core comprises of pure vibratory energy manifesting itself in different forms. Principle of gender: Everything has a masculine and a feminine aspect to it be it mental world, or phy or spiritual. Eg. Mental Gender: co existence b/w masculine (left brain) aspect and the feminine (right brain) aspects of the mind. Spiritual currencies: Time and attention. What you "spend" your time in and what you "pay" attention to. This part I believe is very important whereby he mentions how these natural laws actually express themselves. Its given in a chart form and therefore I'll just attach the pictures of my notes. There's a positive and a negative manifestation which leads to the next expression of it. This I found (regardless of the natural law) can be applied to one's own personal development. Also the stages cannot be skipped and are unilateral. 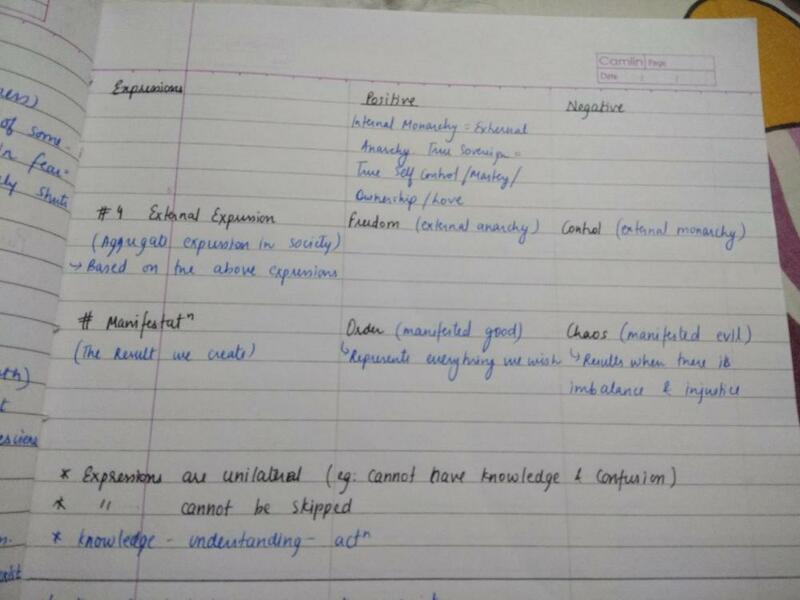 Also I have attached the notes related to Expression of natural laws. Here is something I found interesting about this thread. After learning more about the emerging Coral vMeme in spiral dynamics and it’s emergence observed in Bilderberg etc. utilizing green vMeme agendas to create chaos and then swarm the chaos into synergies to increase its control of global systems and population, that same relationship strangely ties into the information that Mark Passio is presenting in this seminar. He views it from an esoteric occult angle, and weirdly his presentation with “Solipsism” a Green new age idea in the way he presents it strangely correlated with information regarding the Coral vMeme. In his presentation he says the “New Age Solipsism” as well as other Green ideas were orchestrated by “dark occultists” to intentionally influence the global pop to be docile etc. In totally separate MA Carranos interview regarding the Coral vMeme (worked with Dr. Beck co-author of spiral dynamics), he states that many of the New Age and “radical” ideas were actually created by Coral think thanks to secretly get them behind their propaganda. He has no mention of any of the “natural law” or “occult” that Passio discusses in his presentation but the similarities are extremely interesting. Both completely unrelated videos tie in the idea of a group utilizing this strategy of deceptive Green in order to gain more control. Again Passio has a much more “spiritual” “occult” angle to his presentation which makes things more interesting particularly to this forum which takes a decidedly “spiritual” slant. This aspect was not mentioned on in the Coral vMeme at all, while it is a huge part of Passios presentation. Curious to hear thoughts on this. 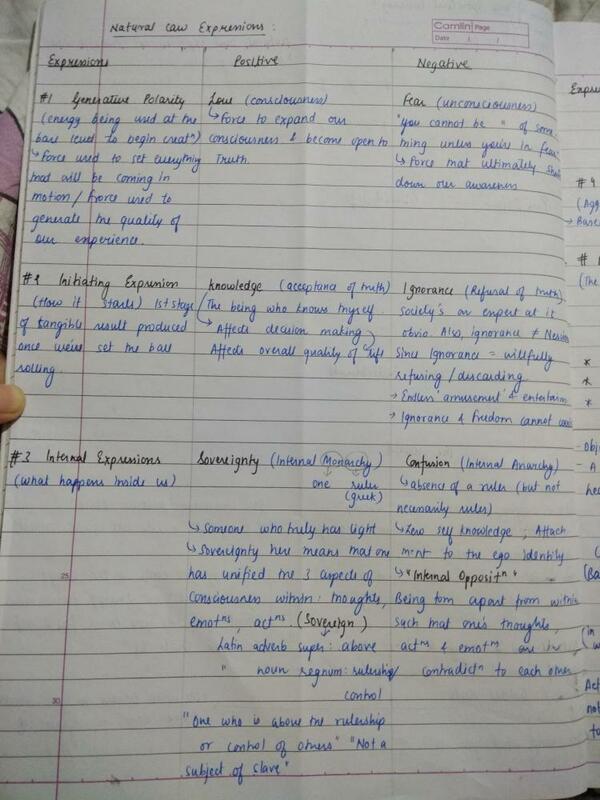 Thank you for taking the care to make such excellent notes dude!